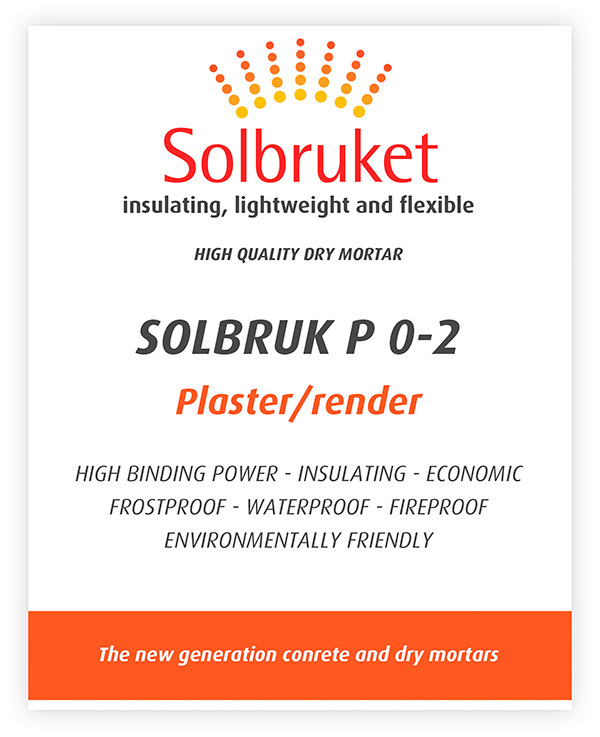 Solbruk P 0-2 – ready mixed lightweight plaster/render mortar. Solbruk P 0-2 for plastering/rendering outdoor and indoor above and below ground. Plastering/rendering outdoor and indoor above and below ground. One bag of Solbruk P 0-2 weighs only 17,5 kilo. Compared to traditional mortars that weighs 25 kilo per bag. Solbruk P 0-2 gives about 13 liters ready mix., approximately the same as the traditional 25 kilo bag.